Haworth Parish Church will forever be linked with the novels and poems of the Bronte sisters, who’s legacy brings many visitors to the church every year. 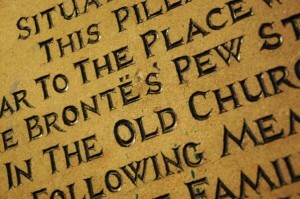 The Brontes came to Haworth in 1820, as their father, Patrick, had been offered the living of Haworth Parish Church. Patrick had first been asked to come to Haworth in 1819 by the Vicar of Bradford. However, the Vicar had gone over the church trustee’s heads in appointing Bronte, so they were against the idea. Feeling he could not become incumbent of Haworth without the trustee’s support, Bronte declined the position and Samuel Redhead was appointed in his place. As Redhead had also been appointed without consulting the trustees, the parishioners of Haworth were understandably riled, and their unruly behaviour lead to Redhead becoming the shortest serving incumbent in the church’s history, lasting only six weeks. In 1820, with the trustee’s agreement, Patrick began the 41 years he would spend as Vicar of Haworth Parish Church. Patrick was a conscientious priest, carrying out his duties as well as directing the National and Sunday Schools. Patrick’s Sunday School is still standing today, you can find out more information about it here. He was a talented preacher and this combined with the high birthrate meant he baptised around 290 children a year. Unfortunately due to the fact that at that time, the life expectancy in Haworth was only around 22 years of age, and 40 per cent of children dying before their sixth birthday, Bronte also held many funerals. Patrick Bronte’s memory is sometimes overshadowed by that of his famous and talented children. Yet in Haworth, then a small, busy, over-crowded mill town, he made a lasting difference to the population with his improvements in education and sanitation as well as performing the role of a popular rural vicar. Most of the Bronte family are interred with Haworth Parish Church. 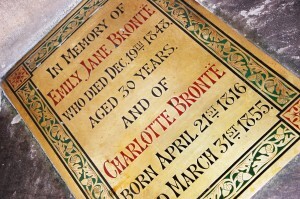 Anne Bronte is the only member of the family not to rest in the family vault beneath the floor at the east end of Church. She died of tuberculosis in Scarborough, North Yorkshire and is buried at St Mary’s Church in the seaside town. Her sister Charlotte who was with her when she died decided that her father Patrick who had buried both his only son Branwell and their sister Emily in the previous 12 months could not stand burying yet another his children so a burial in Scarborough was arranged. Maria Bronte died of gynaecological cancer after living Haworth for 18 months while daughters Elizabeth, Maria, Emily and Anne as well as their brother Branwell died of tuberculosis. Charlotte the last surviving sibling married Patrick’s curate Arthur Bell Nicholls but died when she was five months pregnant at the age of 38. But all the rest of the family lie in the tomb. That’s father Patrick, mother Maria and five of their children: Elizabeth, Maria, Branwell, Emily and Charlotte. Patrick is still Haworth Church’s longest serving minister – 41 years – and as none of his children had children of their own there are no surviving members of that particular family line.